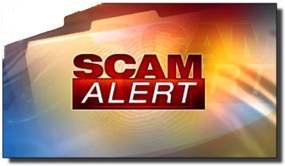 Scam alert: Never answer a phone call that has your own number in the Caller ID! Have you ever received a telephone call with your own number showing up on the Caller ID? Yeah, me too. And it’s quite frustrating to say the least. When that happens the natural instinct is to answer the call and give the scammer a piece of your mind, but that’s a very bad idea. These days there are lots of unethical telemarketers (aka scammers) who spoof their victims’ own phone numbers to fool them into answering their calls. Many of those scam calls can be hard to identify as such simply by looking at the Caller ID, but calls from your own phone number are ALWAYS fraudulent. That makes it easy to recognize and avoid them. 1 – Your phone number is in working order and hasn’t been disconnected. 2 – Calls to your number are answered by a human being instead of a machine. You can answer those calls and rant and rave all you want to the scammers but that won’t prevent you from receiving more scam calls in the future. In fact, it will do just the opposite. When you answer a scam call your number automatically gets placed on the scammer’s “Active Numbers” list. That list is then sold to other scammers. Before you know it you’ll be receiving several of those calls each and every day. And every time you answer one of them your number will end up on yet another list. Once your number is on one or more of those “Active Caller” lists the game is over – and you’ve lost because the scam calls will never stop. 1 – Live with the aggravation as best you can while only answering calls from numbers you’re familiar with (but not your own!). 2 – Change your phone number. Yes, you can block numbers that call you over and over, but that won’t really help much in the long run. The government won’t be of much help either since most of these calls originate from foreign countries. Bottom line: The only effective way to deal with a call that appears to have been placed from your own number is to not answer it. Just let it ring and go to voice mail. Bonus tip #1: This post offers 7 tips for effectively dealing with Robocalls.